For many the Jaguar Mk2 was one the all time great luxury saloons of the 1960s. History however has tended to forget that the story of the Mk2 began with the Jaguar Mk1. Launched in 1955 at the Earls Court Motorshow, the Jaguar Mk1 was actually never officially called a “Mk1” and was instead marketed as the Jaguar 2.4 Litre. The name “Mk1” was applied retrospectively when the replacement Mk2 was launched in 1959. The attractive new saloon was Jaguar’s attempt to break into the luxury saloon market and offered its customers a more affordable option, when compared with the XK120 and their larger saloons. As well as taking the Brown Lanes outfit into new territory, the new Mk1 was their first attempt at a unitary construction car. 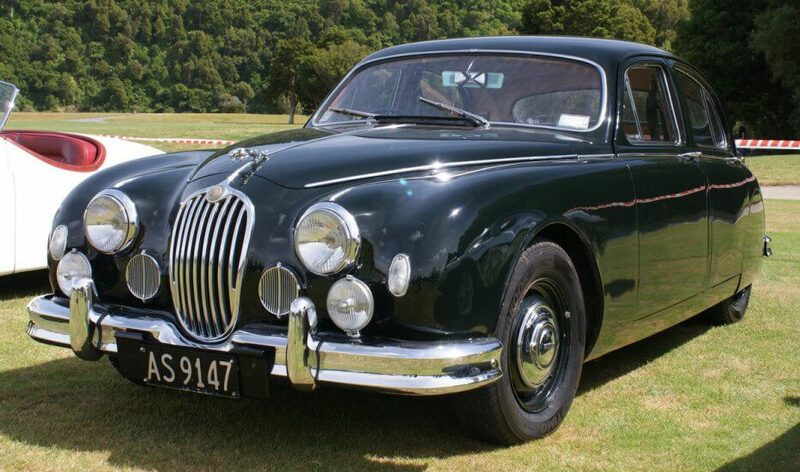 It debuted with a 2.4ltr straight six which was effectively a short stroke version of the XK120 3.4ltr engine. While it produced a respectable 112BHP, the saloons heavy body meant it wasn’t particularly quick. As the Mk1 was Jaguar’s first unitary constructed car, the body was made very strong, which made it heavy, curbing its performance. The lack of outright performance was addressed with the introduction of the Jaguar 3.4 Litre in 1957. 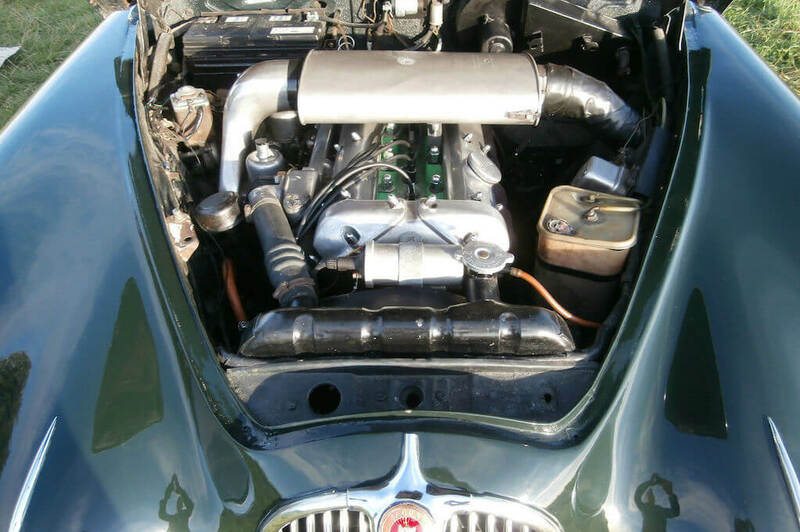 Using the engine from the XK140, the revised Mk1 now had 210BHP on tap. The extra power improved performance significantly but only highlighted the saloons relatively weak drum brakes and its narrow rear end. All round Dunlop Disc brakes were added later in 1957 and helped to reign in the new 3.4ltr engine. 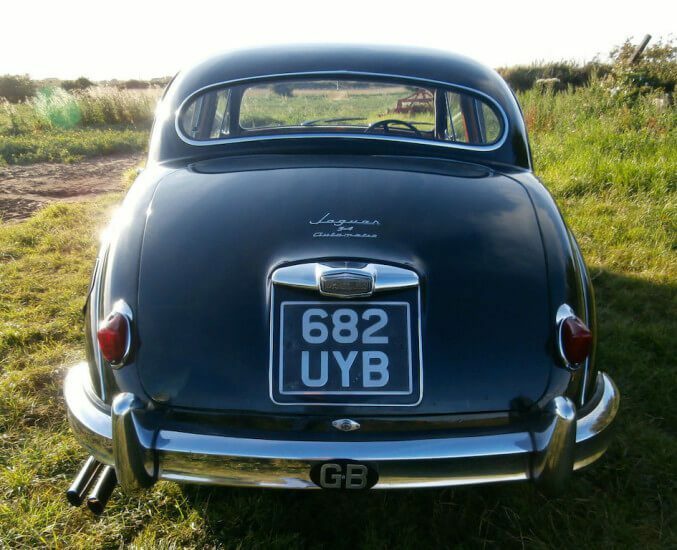 The saloons narrow rear track was not favored by some of Jaguar’s test drivers who said it was awful to drive, claiming the car lacked stability. Despite its flaws, the Jaguar Mk1 was a success. 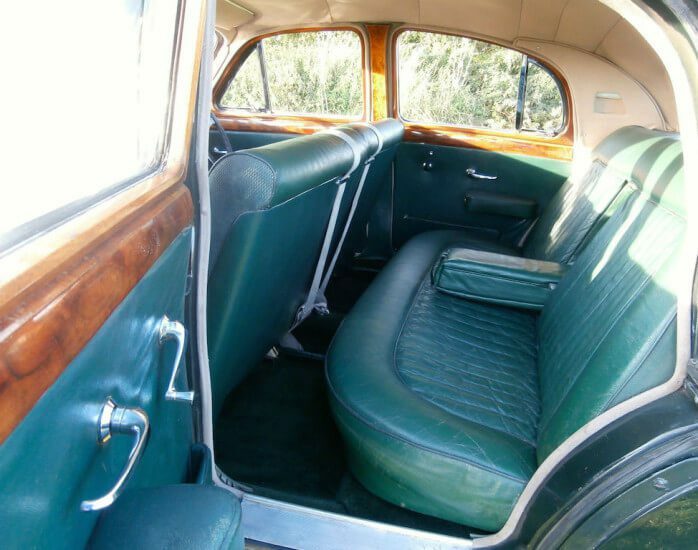 With a leather interior and gorgeous polished walnut trim, the Jaguar Mk1 offered customers an attractive package that included performance and luxury. It was a landmark car for Jaguar, outselling its larger brethren and it was the first real baby Jag which sowed the seeds for the Jaguar Mk2. This Jaguar Mk1 looks very presentable in British Racing Green. The Jaguar Mk1 has always lived in the shadow of the later Mk2. Which tends to be reflected in the classifieds as there are many more Mk2s available than Mk1s (though this comes down to larger production numbers). Which makes the Mk1 we’ve spotted an interesting looking prospect. The one we have come across is a very nice looking 1957 Jaguar Mk1. This is a 3.4ltr model with an automatic transmission and is finished in British Racing Green with a green leather interior. This Mk1 has a 3 speed automatic gearbox. 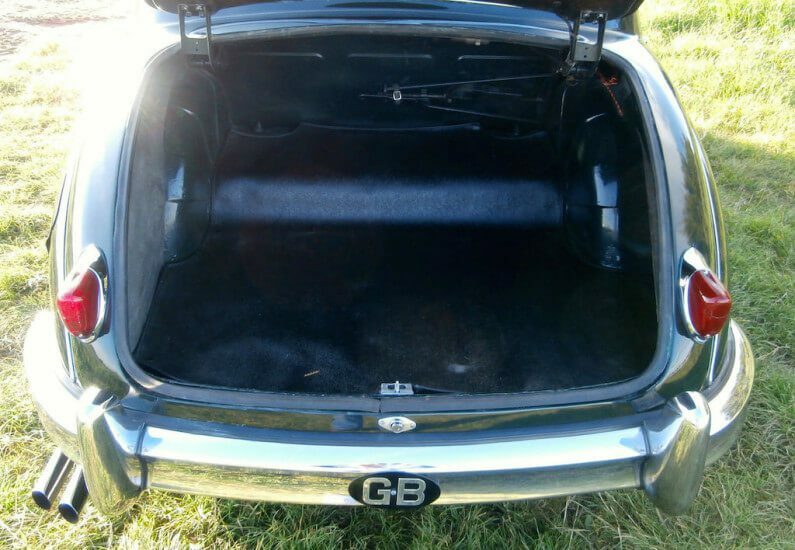 The rear window is wide and narrow and the boot lid much longer than on the Mk2. The bumper wraps round more and the overriders are larger. Described as being in good condition, the paint is said to present well but is showing signs of wear on closer inspection. The seller states it is mechanically on the button with good oil pressure. He notes it does smoke slightly under hard acceleration but this doesn’t occur when driven leisurely (it may indicate slight wear to the valve seals). The automatic gearbox is said to work well and the chrome work is original and complete with an aged look. On the inside the leather interior is described as being in good order with a nice patina with a recently re-trimmed head lining. The polished walnut trim is also said to be very good. The seller goes on to state that all the gauges work with the exception of the clock and the fuel gauge. Very little history comes with the car but it does retain its original registration and has a Jaguar Heritage Certificate. The side profile reveals the thicker door frames and the higher roofline towards the back. The 3.4 wheel spats changed to half size ones to improve brake cooling. To the untrained eye, the Jaguar Mk1 looks just like the Mk2. However when you study the profile carefully, you can see the differences. Most notable are the large door frames and smaller windows and the more raised rear roof line. The rear window is also considerably narrower than the Mk2. The bumpers are larger and wrap round more and there are no side lights fitted on top of the wings. What a wonderful dashboard. It looks fabulous. You can see where the gear lever is just above the radio. On the inside there is acres of wood and leather, with the dashboard being made entirely of walnut. 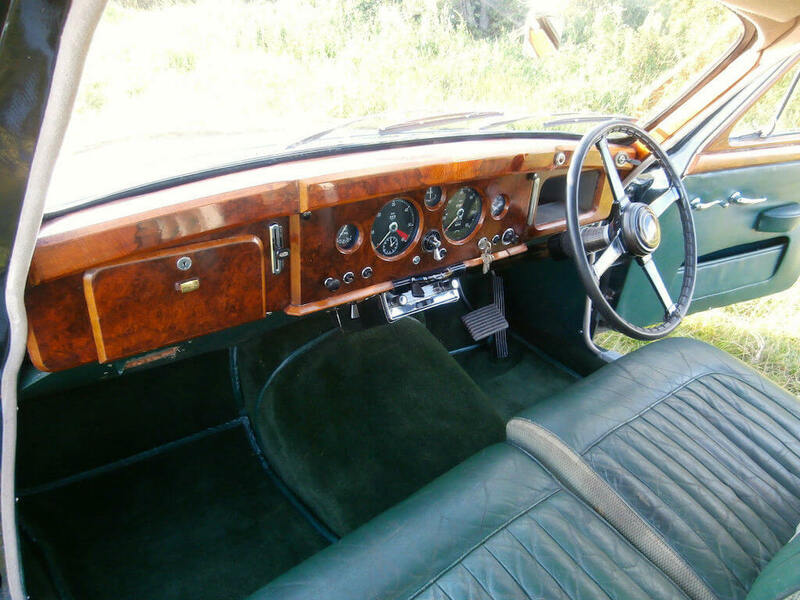 There is so much on display it makes the Mk2 wooden dash and trim feel slightly understated. The rear bench seat and centre arm rest are identical in style to the Mk2. The higher roof line also means its a bit easier to get in and out, compared to the Mk2. This particular Mk1 does look exactly like what the seller describes. It is a very usable example that presents well and is not a trailer queen. The exterior presents very well indeed. We absolutely love the dashboard, with the centre mounted gauges. It makes quite a bold statement and oozes class and charm. We like the quirkiness of the automatic gearbox lever, which is located just above the radio (much like in the Alvis TD21). The steering wheel appears much larger when compared to the one fitted to the Mk2. 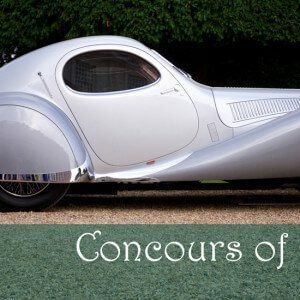 It actually reminds us of the style used on racing Bentley’s and Bugatti’s from the 1930s. The seats have a very nice patina indeed and they may well be original though with the lack of history it is hard to tell. The Jaguar straight six provided excellent performance. The engine bay on this one looks tidy and original. The engine bay layout is very similar to the Mk2 with most ancillaries in the same positions. The bay looks clean and tidy. There is a slight concern with the engine smoking under hard acceleration so we’d want to get that seen too. On the plus side the Jaguar straight six is robust and relatively straight forward especially when compared to the later V12. The Mk2 was noted for its larger boot. The Mk1 boot is easily as commodious. The original jack looks intact as well. As with any Mk2, we’d want to check this Mk1 over for rust. The unitary construction may have been ground breaking but it did also introduce many rust traps and weak points. This example looks sound on the surface but we’d want to give the underside a thorough inspection. Having owned a Daimler V8 250, we have always been intrigued by the Mk1. It may have been flawed but there is a certain purity to its looks. While the Mk2 was technically superior and was an all round better car, its exterior was treated to a lot more chrome. For us this cluttered William Lyons masterpiece and we prefer the cleaner lines of the Mk1. We also prefer the interior, especially that walnut dashboard. It is a work of art. 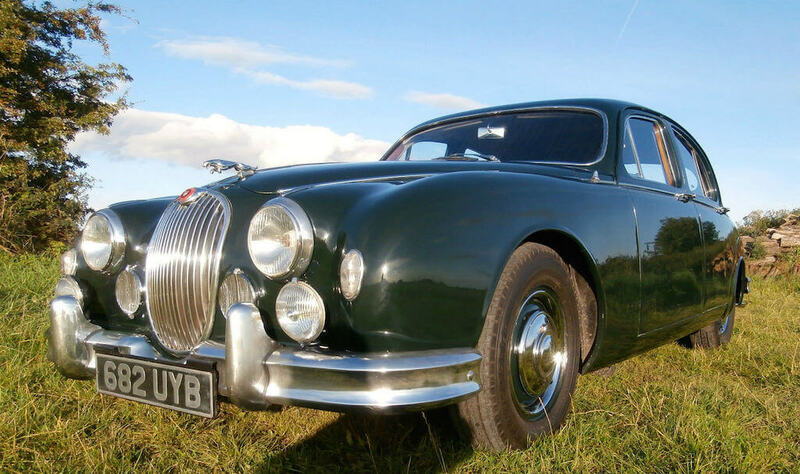 Interest in the Jaguar Mk1 3.4 Litre has been rising steadily in the past few years as the market has finally started to appreciate the car for what it is. This particular Mk1 presents well and has a real nice patina which we like. 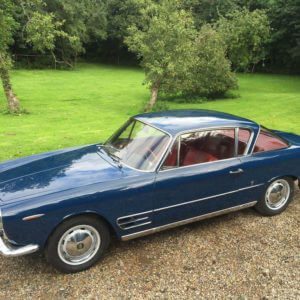 It offers the opportunity to acquire a very interesting classic luxury saloon that hasn’t been over restored. And with so many Jaguar Mk1s restored to show standards, this one could prove to be a very usable, good value example. While it is a shame about the cars lack of history and there is a slight concern with the engine, we think this Jaguar Mk1 is worth a look. This Jaguar Mk1 is located in York and the current bid is £7,200 with the reserve not met.